Home > Finances > What Happens to your Pension? Most of us find pension matters confusing at the best of times. Add redundancy into the mix, and often heads start to spin. It’s important to know how your pension is going to be affected by redundancy, however, whether your employer goes bust entirely, or whether you will simply be leaving its employ. In the old days, when companies went down, they would often take their pension funds with them. Indeed, they would often dip into the pension funds in their final death throes as they desperately attempted to fend off the looming bankruptcy. After some high-profile business failures which left aggrieved and out-of-pocket pensioners in their wake, the government passed legislation to make this impossible in future. The Pension Protection Fund now stands as a guarantor of all approved British final salary occupational pension schemes. If you’ve been contributing to a final salary occupation pension, and your employer goes bust, a government protection scheme will normally protect all or most of your pension. Those who have already begun to draw their pension will be protected 100%; those who have yet to draw their pension will only receive 90% protection, however; and in both cases the protection is limited in value to £27,000 per year. If you are a high earner who would normally be expecting a higher pension income than the figures mentioned above, your pension will undoubtedly suffer if your employer goes bust.For this reason, if you have made significant contributions to an occupational pension scheme, and are worried about your employer going bust, you may want to think about transferring your pension out of your employer’s scheme altogether. This is not a step to be taken casually, and you should seek independent financial advice on the matter. In normal circumstances, you would often you lose some financial benefits by transferring your pension out. However, depending on your own income and contribution levels, and the gravity of the crisis threatening your employer, it may benefit you in some cases. Note that by the time your employer actually goes bust, it is too late. You will no longer be able to transfer your pension out then. When you’re made redundant, you can receive a redundancy payment of up to £30,000 tax free. Above that, you’ll pay tax at your normal rate. If you’re a higher rate taxpayer, in particular, you’ll find that the taxman can put quite a nasty dent in your redundancy payment. One option for preventing this is for your employer to pay the excess into your pension fund rather than give it to you directly. If you’re lucky enough to be receiving such a large redundancy payment, you can discuss this option with your employer. Naturally, your own financial circumstances, primarily whether you will need the money to use in the short or medium term, will dictate whether this is a sensible way of proceeding from your point of view. Note that your employer is not obliged to comply with your request in this respect, but could usually be expected to since they would lose nothing by it and gain a measure of goodwill. When a redundancy is taking place, the employer is supposed to grant the affected employees a notice period. Sometimes the employer opts to give Pay in Lieu of Notice (PILON), however, in which the employment ends more abruptly but the employee is remunerated as if it had not. In cases, the employer should ensure that not only is the pay level equivalent, but any ancillary benefits such as pension contributions. When you leave your employer, if you have more than two years’ service, you will have the choice of retaining your existing entitlement in the employer’s scheme, transferring out to another scheme (such as a personal pension or a stakeholder pension, or an occupational scheme run by your next employer, although your next employer is not required to accept this). If you have less than two years’ service, the pension contributions you have made will be fully refunded. Redundancy no longer means the implosion of your pension, as happened in the worst cases in the bad old days. 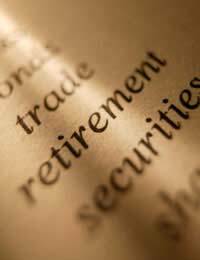 In fact, if you play your cards right, in some circumstances you can even see your pension emerge nicely ahead from a redundancy situation. @Hugo - for any pension questions I suggest you get in touch with the Pensions' Advisory Service via the link here . I hope this helps. I'm in the public service on a 2/3rds final salary that I can retire on at 50. I'm 47 now with a real threat of redundancy. I'm worried I will get sacked not only to save my salary but also delay me being able to collect my pension till I'm 60? @Robert - sorry to hear of your predicament. You can check whether you are eligible via the link here . I hope this helps. I am in full time employment (24 years with current owner) and have applied and been granted contributory old age pension from December this year. My employer asked me to stay on working for him for the time being until he sells his estate. I intend to continue working and understand the income tax implications. In the future when my place of employment is sold, how will my contributory pension affect my redundancy ?.